Black Lives Matter organizer Lex Scott leads supporters on a march to the City and County Building following Sunday’s protest. Chants of "Fire Sim Gill" and "Sim Gill, let's be clear, cops committed murder here," joined "No justice, no peace" and "Whose streets? Our streets!" 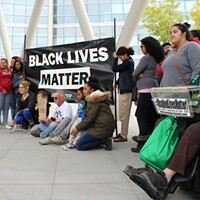 Sunday afternoon, when members of Black Lives Matter, Utah Against Police Brutality and the public gathered outside the Public Safety Building to demand justice for Patrick Harmon. 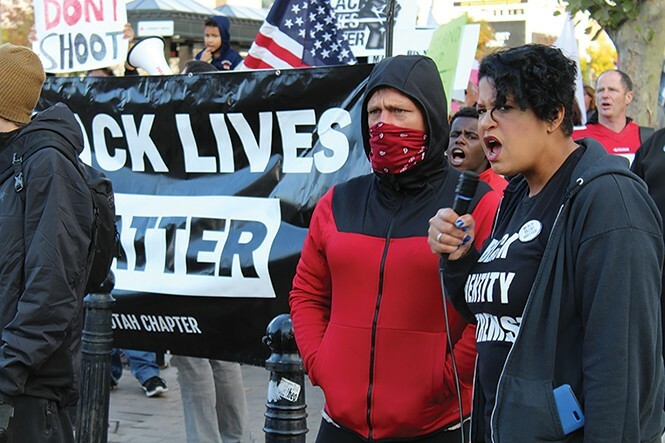 Microphone in hand, Black Lives Matter organizer and United Front Party founder Lex Scott's message to Salt Lake County District Attorney Sim Gill was clear: "He is not going to justify one more murder in this city, is he?" Scott told the crowd around 200 strong. "We're coming for your job, Sim. We're coming for justice." 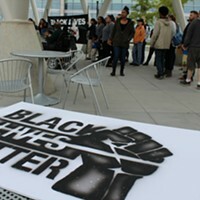 Wearing a T-shirt emblazoned with the phrase "Black identity extremist"—a term plucked from a recently leaked FBI memo labeling BLM activists terror threats—Scott also called for increased de-escalation training and more diversity in hiring within the SLCPD ranks, as well as the creation of a community-controlled civilian review board with the power to bring formal charges against police officers. Harmon, 50, was stopped by police along State Street on Aug. 13 for not having a rear light installed on his bicycle. After being asked about active felony warrants, Harmon attempted to flee and was lethally shot. Following an investigation, Gill's office released the results from an Officer-Involved Critical Incident review calling the shooting "legally justified," on Oct. 4. The 18-page report says Harmon turned toward officer Clinton Fox and threatened him with a knife as he was running. It also quotes Fox during an interview in which his attorney was present, saying that in 10 years of law enforcement and two military deployments, the exchange was "the scariest situation" he'd ever found himself in. 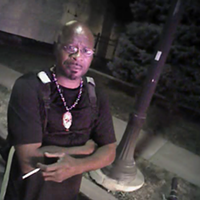 That same evening the report was disseminated, SLCPD released body-cam footage from three officers on the scene. One of the videos shared on City Weekly's Facebook page has been viewed more than 2 million times. "This isn't the first time we've seen Sim Gill side with his peers," Utah Against Police Brutality member Matt Romrell said in response to the footage, citing the DA's almost carbon-copy results from other cases, like the February 2016 police shooting of 17-year-old Abdullahi "Abdi" Mohamed. Gill, it turns out, was also initially shocked by the Harmon footage. "The first time I saw the videotape without any context, honest to God, my first reaction was 'Oh, my God, this isn't right; there's something wrong here," Gill told City Weekly over the phone on Tuesday. "As we started to go through this process—and looking at that and what the law requires me to do, and what the evidence was and what my obligations are—we ended up where we ended up, consistent with the statutory framework that I'm obligated to follow." Far from being offended, Gill said he encourages public outcry. "I believe in community involvement," he said, adding that he's been a vocal advocate for social, political and criminal justice change over the past 20 years. 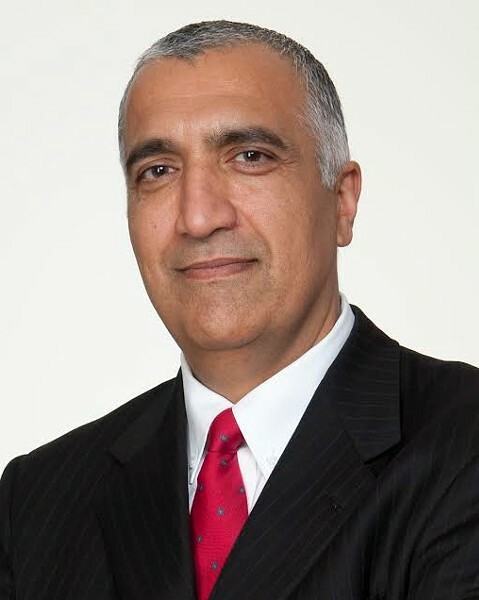 "I think the debate questioning it is an integral part of our democratic process. So in that sense, I encourage it; I embrace it; I accept it—because I believe in it." His track record shows he's been a champion of transparency, Gill said, pointing out his office shied away from the previous "one-sentence justification or conclusion" norm and has instead opted to share full investigations to the public on his website. "That initial idea of being transparent and sharing all that with our community [was] met with resistance," Gill said, calling the move "a progressive incremental gain." He also said he's been called to train other DA offices across the country to follow his lead. Moreover, his office has been ahead of the curve in regard to responding to officer-involved shootings, Gill noted, and the proposal to have outside agencies review his decisions was part of his platform when first elected. "This was seven years ago. Before Ferguson, before the other issues around the country. ... Before, it used to be police officers reviewing their own agencies." The change, he says, is now operational. On the topic of showing a pattern of siding with law enforcement in police brutality cases, Gill said in certain instances, he's found shootings unjustified, "because that's what the facts showed" with no fanfare. Still, the shadow of the ones on the other side of the equation linger. At Sunday's rally, community advocate Preslie Paur recited the names of those justifiably shot down—James Barker, Dillon Taylor, Darrien Hunt, Damian Huth, Nicolas Sanchez, Mohamed and Harmon. 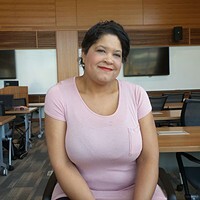 Referring to some of the cases as "racial profiling," Paur called on her own white privilege and said had the tables been turned and she were riding her bicycle across several lanes of traffic with no rear light, at most an officer would ask if she was safe. "They even would've given me a goddamn ride home," she said. Fighting back tears, Paur, an adoptive mother to a 2-year-old black child called on Gill and said she fears her son might become another statistic. "I cannot raise my son in a state where I don't think he's gonna grow up to be a man." Gill is aware of his sliding popularity with either cops or the public whenever his findings are released, but remains firm that any and all cases that come through his desk are exclusively facts-driven. "It's not about pleasing anybody," he said. "It's about creating a process and being open about it." Part of that openness, he said, was meeting with Harmon's nephew Lamar Ross on Tuesday morning. "I told him, 'Man, ask me anything you want.' I go, 'Be critical—you don't have to agree with me, but questioning the process is important if we're going to make the kind of changes that we want to make.'" Moving forward, the DA says he welcomes probes on the standard of review his office currently adheres to. In addition, he favors reforming procedures within law enforcement communities, with one caveat: "I don't get to control law enforcement agents—they're not my agents," he said. "But we can talk about how to engage these law enforcement agencies and how can we standardize policies which maybe then need to be reduced to statutory framework." Further defending his decision in the Harmon case, Gill said he personally invited the FBI to review his determination. "I believe in transparency; I believe in accountability, and my administration has done a lot to move that along," Gill said. "We just sent out a letter to the FBI yesterday and we said, 'Look, come down and review what we've done." For people like Utah Against Police Brutality's Romrell, it seems like too little too late. "If shooting Patrick Harmon in the back while he was running away is policy," he said, "then it's clear to me we need to change the system."